The employees at Chimayo Gallery & Gift Shop on Market Street in Perkasie, PA, are well-informed and perceptive, offering quick and competent assistance to every customer. Their objective is to supply an excellent assortment of creative, visionary, and original artwork at affordable prices so that buyers receive both great value and a memorable shopping experience. Chimayo Gallery, which will mark its second anniversary this year, specializes in new artwork of all kinds by the area’s best-loved artists. They include painter Tim Gibson, photographer Marilyn Nolt, oil painter Margaret Wiseheart Anderson, mosaic artist Pete Maltese, artist Blake Redbone, painter Anne Landis, photographer Scott Shelton, jeweler and mixed media artist JoAnne Krutanis, and more than 70 other creators of all kinds. In October, Chimayo is hosting an event for paper and mixed media artists Melinda Bream and Leena Nashikkar and is pleased to welcome Eric and Christopher, 2014 Martha Stewart AMERICAN MADE Finalists, who will be at the shop signing their marvelous handmade pillows and totes. In November, Chimayo will showcase the abstract work of B. A. Stoll. Chimayo is pleased to join the huge list of “Things to Do” for art lovers in Bucks County. It has made displaying the work of Bucks County artists its chief undertaking, although the gallery also exhibits the work of artists from across the country. After being bowled over by the charm of Bucks County, Priscilla Gray-Stoll and Alix Stoll, the co-owners of Chimayo, opened the gallery in January of 2014, a year and a half after moving here from New York. Priscilla and Alix are truly enjoying the kick-off of their new venture representing some of the finest artists in our region. Upon entering the gallery, guests are ushered into a vivid realm of beauty and inventiveness. Since its opening, Chimayo has received a steady flow of artists and art admirers who continue to converge at the gallery. The aim of Chimayo has been to respect the ongoing aesthetic imagination of this area, offering superior and unusual work from recognized as well as emerging artists. Chimayo’s offerings include scenic landscapes, abstract art, graffiti art, photography, and plein aire, all of which honor the creative legacy that reflects the diversity of Bucks County and continues to inspire the work of artists around the world. The owners of Chimayo Gallery have confidence that the hours that members of the community devote to enjoying and participating in group events is time well invested. That’s why Chimayo opens its space to inspire connection by providing a meeting place for fine art, education, recreation, and locally based human services of all kinds. That’s just a small sampling of what Chimayo has to offer. After visiting the gallery, you’re in the just the right place for a splendid lunch or supper. Check out Maize, Perkasie’s dinner mecca; delight in the flavorful food, garden-fresh ingredients, and warm environment of Down to Earth Café; grab a bite at the Washington House in Sellersville; or sample the superb dishes at Stella’s House Blend Cafe while viewing the remarkable art that graces the walls. 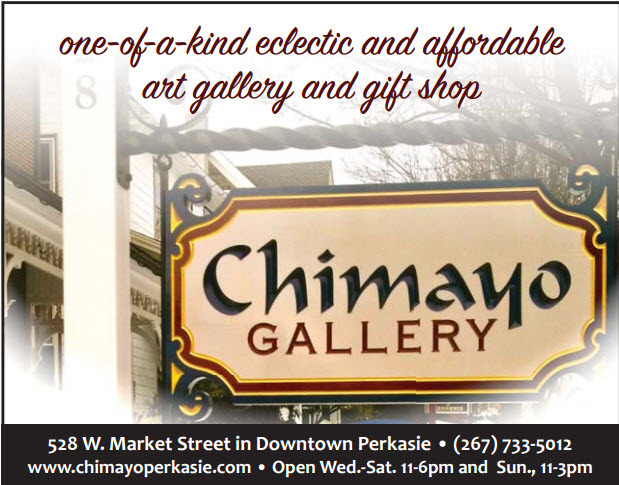 Visit Chimayo Gallery & Gift Shop at 528 W. Market Street in Perkasie, PA. Information about all of Chimayo’s artists, upcoming events, and workshops can be found at http://www.chimayoperkasie.com or by calling the gallery at (267) 733-5012. 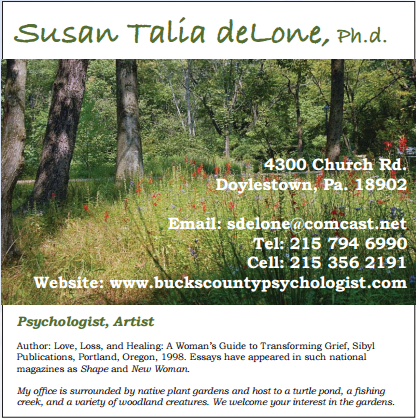 You can find this and other great articles in the Bucks County Women’s Journal! It’s hard to think spring when summer is still here, but this is the time to order spring bulbs! Spring bulbs offer continuous color in your garden from early spring to early summer, and autumn is the time to do it! A well-planned bulb garden gets better and better with time and takes minimum upkeep. Bulbs should be planted to stagger their bloom times, starting with early bloomers like crocus, Dutch iris, and scilla and ending with the wonderful group of alliums. 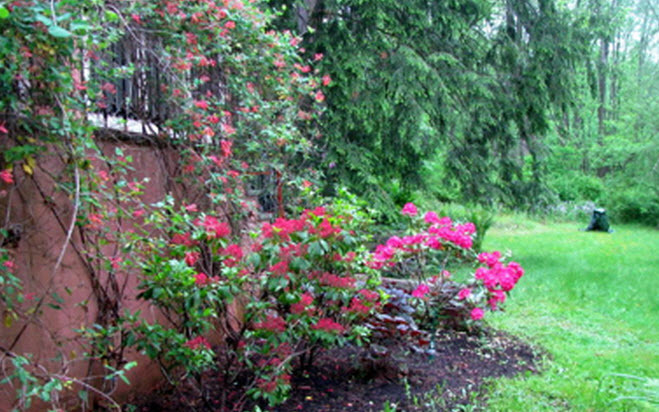 A garden can give you enjoyment and surprise after all the work is done months prior! Las Flores Landscape Design and Build can plan your bulb garden to ensure you have a succession in bloom and plant enough bulbs so you can cut the flowers and enjoy them inside your home as well! Bulbs create a natural look by using power in numbers. One thousand bulbs is not a lot, and often we need to educate our clients about this. For most flower varieties, every hole dug holds at least 10 to 12 bulbs to create a natural look. 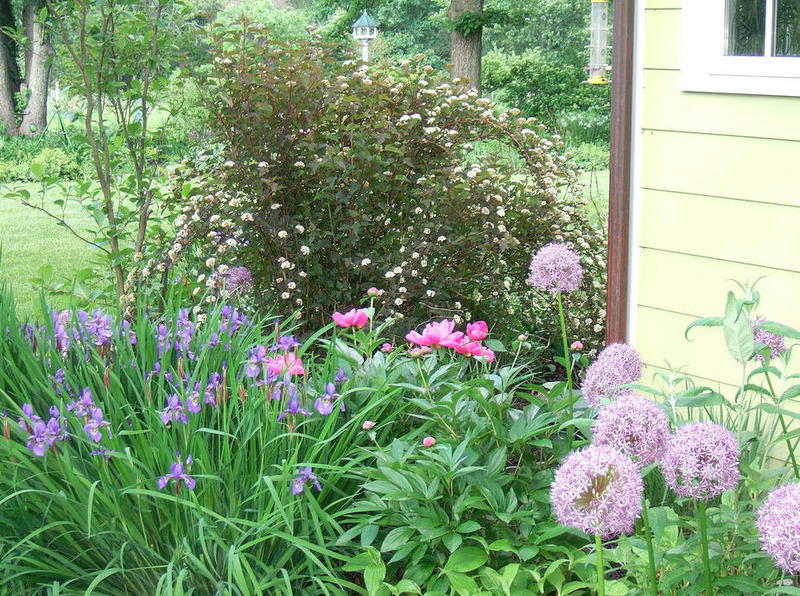 Bulbs are also great to combine with early-blooming perennials. Again, this is why proper planning needs to happen in September, so all aspects of your garden play a vital role in bulb placement. Don’t forget to get your bulbs ordered now! There is nothing more satisfying to chase those winter blues away than flowers blooming in your garden! 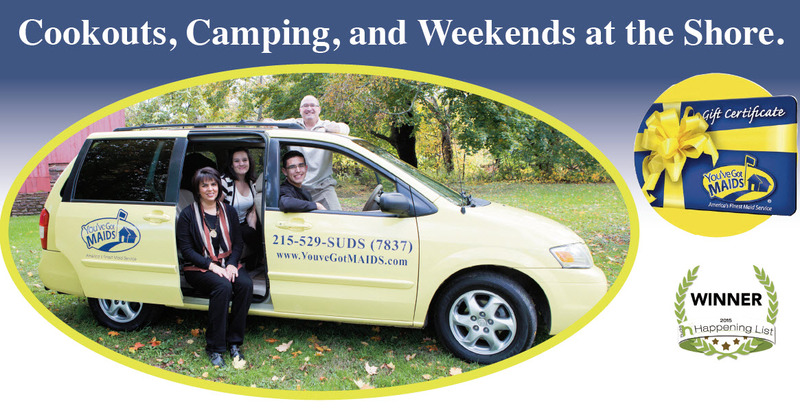 We at You’ve Got MAIDS hopes everyone has had a wonderful summer vacation so far. To celebrate, we’re asking that everyone who reads this article sends us your favorite family photo having fun this summer. We will post the top 5 on our website, and the winner will receive a gift certificate for 4 hours of professional cleaning. 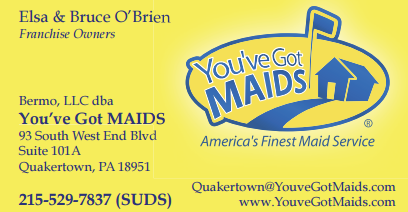 All you need to do is send your photo to quakertown@youvegotmaids.com and then have your friends vote for your photo. The winner will be posted September 1, 2015. 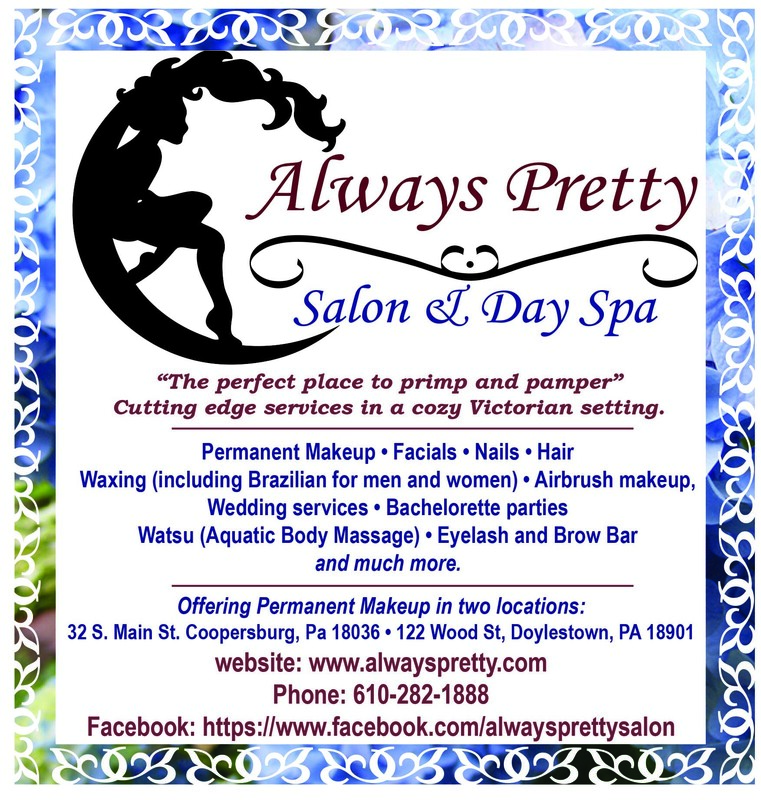 You’ve Got MAIDS is now offering what we call “Wedding Specials,” but you can just call the service “Party Planning 101.” We have been getting requests to do multiple cleans for weddings, meaning we come out one or two days before out-of-town guests arrive for the big event, and then we come back one more time to freshen up. Finally, once everyone leaves your house (often in a mess), we come back again to make your home sparkle. This program has been so well received that we are now adding a twist. Husbands call Holly or Elsa to hear about our “Anniversary Special.” Order a clean on your anniversary and receive a dozen roses as our gift to you. As most of our friends reading this know, You’ve Got MAIDS uses only hospital-grade cleaning solutions as well as color-coded cleaning cloths when working in your home. Never will a cleaning cloth that was used to clean the bathrooms meet with one used to clean the kitchen. In addition, our cleaning professionals all graduate from YGM’s University before ever cleaning a home. Though it might sound silly, the University is a very serious program where our service staff learns professional cleaning techniques and undergoes a complete background check prior to their first day of work. You’ve Got MAIDS strives for customer protection as well as satisfaction. Keep in mind too that YGM has a commercial decision specializing in nightly office cleans, maintenance cleans, and post-construction cleaning. Our staff has been trained in stripping and waxing tile floors, window cleaning, and shampooing both carpets and furniture. YGM is also capable of dry cleaning fine carpets and area rugs. After we come out to service your tile floors, carpets, and windows, we will gladly give you a quote to maintain those surfaces. YGM offers deep discounts on maintenance agreements. Remember to honk and wave when you see our staff out and about in a MAID mobile; that always puts a smile on our faces. In closing, we want to thank all of our customers—many of whom have been using our services for years. Without the trust and loyalty of so many, we would not be the number one cleaning company in Bucks County and the Lehigh Valley. We recently celebrated our 5th anniversary, employing 24 residential and commercial cleaning professionals and running a 24-hour business, and we’re adding new MAID mobiles regularly. A very true and warm thank you to all! By Michael C. Luciano, D.O. 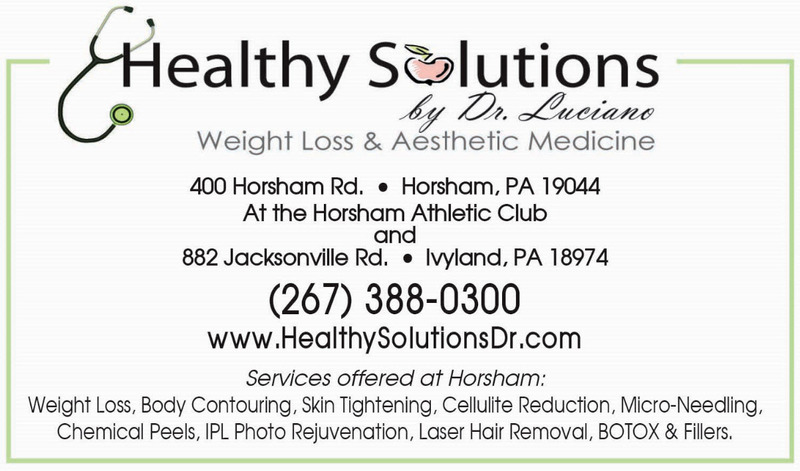 Welcome Dr. Michael C. Luciano and Healthy Solutions as one of our new contributors! As a Board-Certified Family Medicine Physician, I have been educated to care for most medical conditions. In over 10 years of private practice, I consistently see how changes in lifestyle, mainly nutrition, improve health status. If most physicians were able to dedicate their time and effort to discussing lifestyle modification, there would be much less disease, lower health care costs, less medication prescribed, and happier and healthier individuals. Over the last 30 years, the U.S. has seen an obesity increase of epidemic proportions, with rates doubling from 15-30%; currently, 65% of Americans are overweight. Unfortunately, during medical school, most clinicians receive little or no training in nutritional matters or the management of obesity. Therefore, I actively pursued additional training in obesity medicine and applied for board certification in this important subspecialty. It has become a passion of mine to assist patients in this complex issue, which was previously viewed as a lack of willpower and oversimplified obesity treatment as the need to eat less and exercise more. Further validation is the recent recognition by the American Medical Association of obesity as a disease state. The causes of obesity are complex; therefore, individualized tailored treatment is essential. No single diet works for everyone. We are learning more and more about the complex interplay of gut hormones and neuropeptides. Understanding the obese individual involves pinpointing obesity’s potential causes, including environmental, psychological, socioeconomic, medical, genetic, medication-related, and many others. This information is the key to developing an effective treatment strategy. There are many possible weight-reduction strategies. The right method is the one best suited for the individual patient, accounting for medical issues, exam findings, lifestyle, and sustainability. Most of my patients have tried and failed multiple diets during their lives, sometimes with short-term success because they regained the weight shortly afterward. Structure and accountability coupled with impressive short-term results fuel long-term compliance. These are the keys to success in my patients. I utilize my clinical skills, education, and compassion to empower patients to take control of their health. My initial goal is to help patients have less hunger and cravings, feel less bloated, and be more energetic with improved mood and sleep and an overall improvement in quality of life. It takes 4 weeks to create a new habit but a year to make it stick. Therefore, follow-up and maintenance are imperative. As the patient loses weight, the metabolic rate naturally slows, which creates a plateau or even a gain even if the patient follows the diet. This is when many people regain, get frustrated, and give up. It is important to change treatment plan direction at this time. This usually requires an exercise routine coupled with a change in nutritional intake, using creative ways to get the body burning calories more efficiently. Most people want weight loss to be quick and dramatic. However, calorie reduction is not a simple process. My job is to make it simple, take out the thinking, give patients a structure, and make it sustainable. I utilize modern- day bariatric medicine, which may include lipotropic injections, medical-grade protein supplements, pharmaceutical intervention, vitamins, and hormone therapy combined with the right proportion of macronutrients and total calories. Essentially, I want the patient to lose the most weight in a safe manner by losing fat and preserving muscle. In my experience, the first four weeks are critical to gain patients’ trust by showing them results and empowering them for success going forward. This is where the complexity of weight management becomes easier, since the accountability factor is now inherent in patients who feel better than ever before. I begin each weight-management consult with a detailed history and exam. I gain a good understanding of the individual and his or her health status and goals before making a nutritional recommendation. Putting the pieces of the puzzle together may include further workup such as laboratory assessment or electrocardiogram. My office is equipped with the latest technology including metabolic testing and body composition analysis. With metabolic testing, I can show patients the amount of calories their body requires for weight loss and maintenance by using oxygen expenditure to calculate their metabolic rate. With body composition testing, I show patients the breakdown of their weight by calculating the distribution of body fat, muscle, and water, which is useful in tracking their progress. My recommendation after each initial consultation is customized for the patient and is expected to yield the most-effective weight loss. 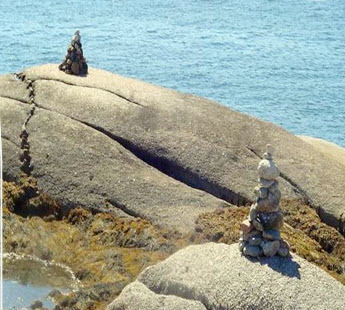 It includes a transition and maintenance strategy for long-term sustainability. I understand how difficult and emotional the subject of weight management is for most patients, and I am honored and privileged to be in a position of changing their lives for the better. I always tell patients that this is the fun part of my practice. Preventing and reversing disease by using nutritional and lifestyle modification is a simple but powerful concept that has incredible health benefits. Set up an initial consult and see how to improve your everyday future—your body will thank you! 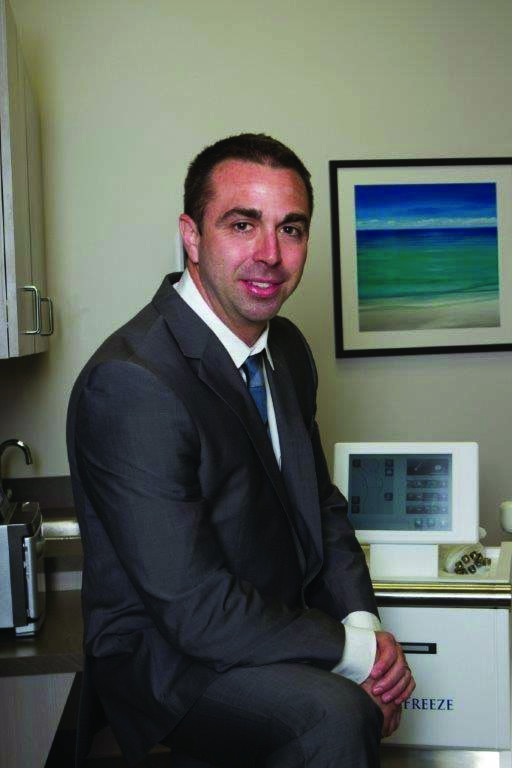 Dr. Luciano is Board Certified in Family Medicine. He earned his degree in Osteopathic Medicine from Western University of Health Sciences in California. Dr. Luciano is an active member of the American Academy of Family Practice, American Osteopathic Association, and the American Society of Bariatric Physicians. He is the current Family Medicine Chairman at St. Mary Medical Center in Langhorne, PA. Dr. Luciano has his primary care office in Ivyland, PA and a satellite office in Horsham, PA. Weight Loss, Body Contouring, Skin Tightening, Cellulite Reduction, Micro-Needling, Chemical Peels, IPL Photo Rejuvenation, Laser Hair Removal, BOTOX & Fillers. With our state-of-the-art techniques, we can help you resolve your hair- loss challenge. Women with thinning hair can look more youthful. Men who like the “freshly shaven” look, can have a new, full hairline with our Scalp Micropigmentation application. Linear scars resulting from hair transplants can be camouflaged with our scar revision and pigmentation techniques.